For the background, I used watercolor powder on watercolor paper. To get this look, I started by brushing on just water with a wide brush. 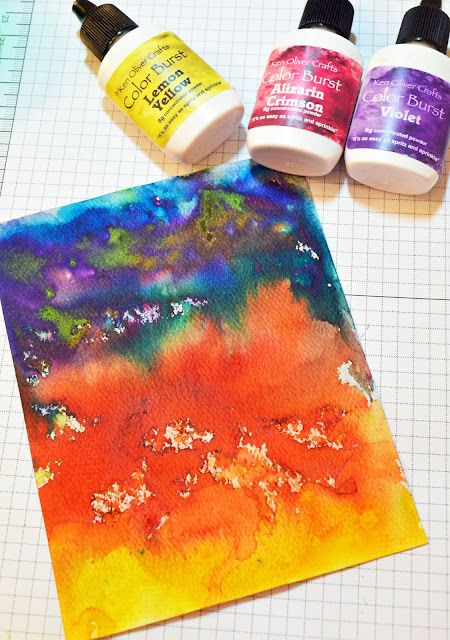 Then I randomly sprayed the powders over the paper (just a tip, a little powder goes a long way). I used blue, red, yellow, orange, and purple powders. Then I sprinkled some drops of water over the panel and just let it sit. 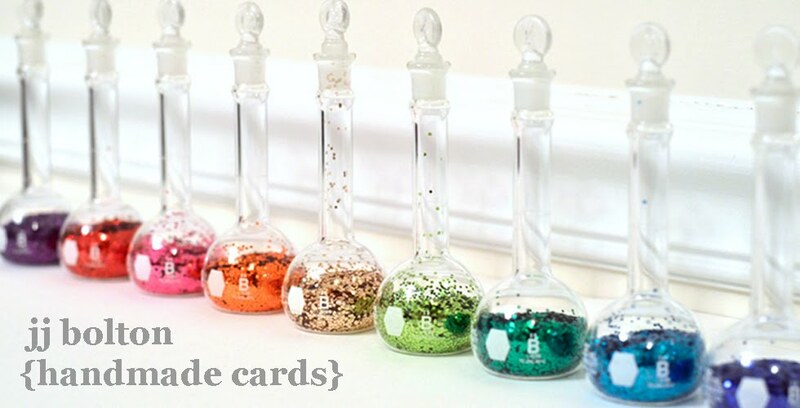 I love the intensity of colors you can get with these powders! 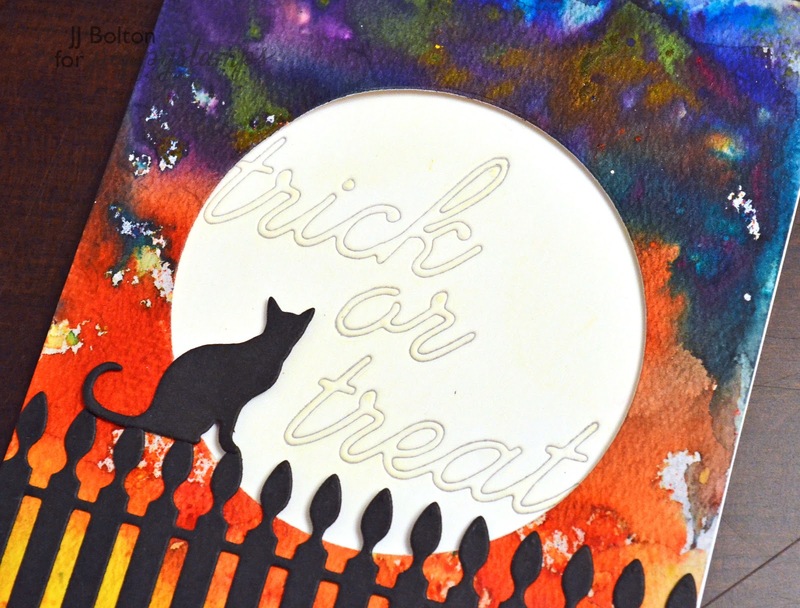 The perfect stormy Halloween background! After my watercolor panel was dry, I cut a "moon" just big enough for my sentiment to show through. The sentiment was die cut into a scrap piece of paper, but I left the die cut intact. It's hard to see, but I blended just a tiny bit of yellow ink over the die cut just to bring out the letters more. Seriously, this is GORGEOUS, JJ!! I love your tone-on-tone moon ... so smart!!! Gorgeous background! 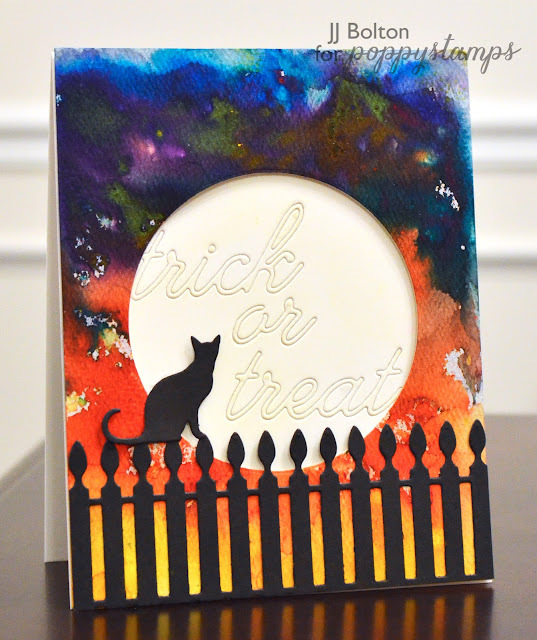 Color Burst powders are new to me, and I love how vibrant the colors are...perfect with all of your die cuts, too!